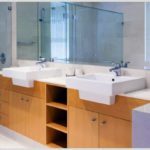 If you are thinking about renovating the bathroom, you have a big task ahead. At least when it comes to choosing paint types, models, qualities, flooring materials etc. Especially the shower doors come with so many different specification that will get you confused. 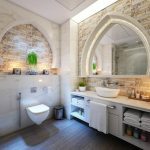 For example, have a look here to see the list of frameless shower doors that might fit your need http://behindtheshower.com/best-frameless-shower-doors-reviews/. Moreover, the world of coatings and paintings is so wide, and it has so many roads to explore, that sometimes what seems easy can become very complicated. Today we want to simplify things a little and talk to you about a section that will help you for the best way to choose the floors for your bathroom. 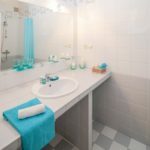 If you are going to reform the bathroom, you need to carefully examine the types of tiles for the walls, the toilets and the shower cabins, the vanity material etc. And then we realize that what seemed simple to choose, given the full range of products offered by the market, it becomes a difficult task precisely because of the many options, materials and models available in the market. Before making a change of floor for your bathroom, you must remember that it is necessary to choose surfaces resistant to humidity and high traffic or durability. 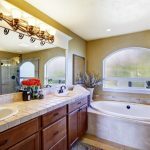 Under these characteristics, we will recommend the best options, each with a different look and design that will give your bathroom the personality you want. 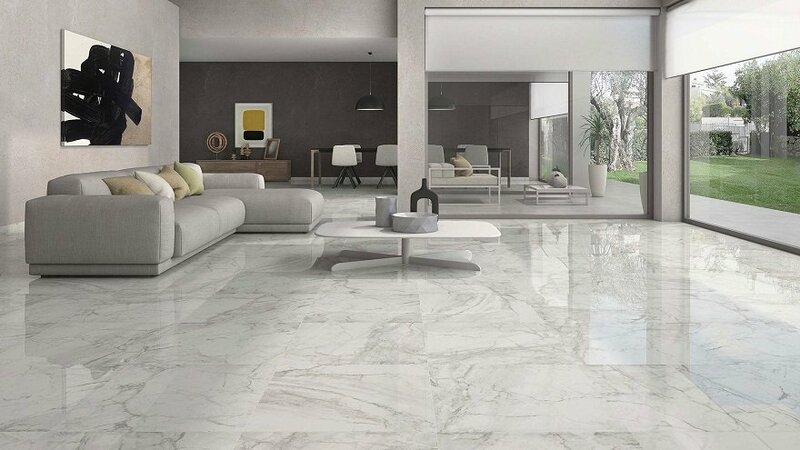 The porcelain stoneware is ceramic material and is one of the toughest in the world. In fact, it is frequently used to pave outdoor areas, terraces, and porches, due to the excellent resistance it presents in the face of changes in temperature and humidity. This is cooked at higher temperature which gives it higher properties, making it a material of high hardness, resistance, much more waterproof and above all, easy to clean. 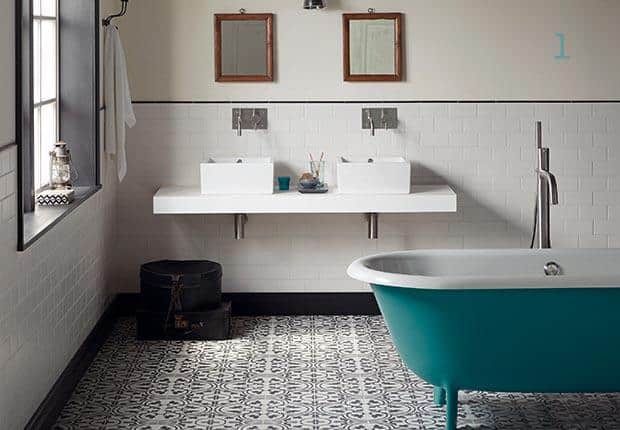 Perhaps because of these qualities, porcelain stoneware is increasingly being chosen as floor material for the bathroom or kitchen, as it does not need any maintenance and is not excessively expensive either. Besides, in porcelain stoneware, there is a range of colors and finishes almost infinite, which allows excellent possibilities when decorating your spaces, both the bathroom and the kitchen. Not only there are decorative models, but also, the stoneware can imitate almost perfectly other materials such as some stones (slate, marble, etc.) and wood. They are not exactly new material (they began to be manufactured at the end of the 19th century) and, nevertheless, they are very topical and rare. Maybe it’s because of their high resistance; or for its geometric or floral designs that adapt so well to today’s houses, especially those that are decorated with a retro or vintage touch. 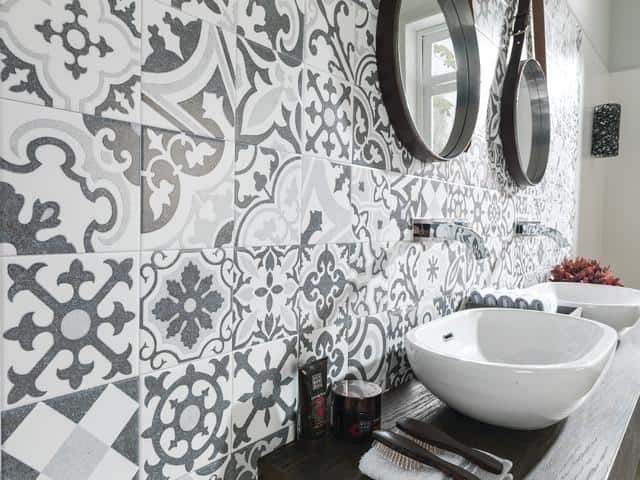 The fact, hydraulic tiles are a good option when thinking about floors for the bathroom. These pieces of pressed colored cement are very resistant, able to withstand the daily trot without problems. It is true that this is a material that does not resist humidity well and that in a bathroom that can be a problem, but today there are solutions that allow us to value this great and natural material when choosing floors for the bathroom. 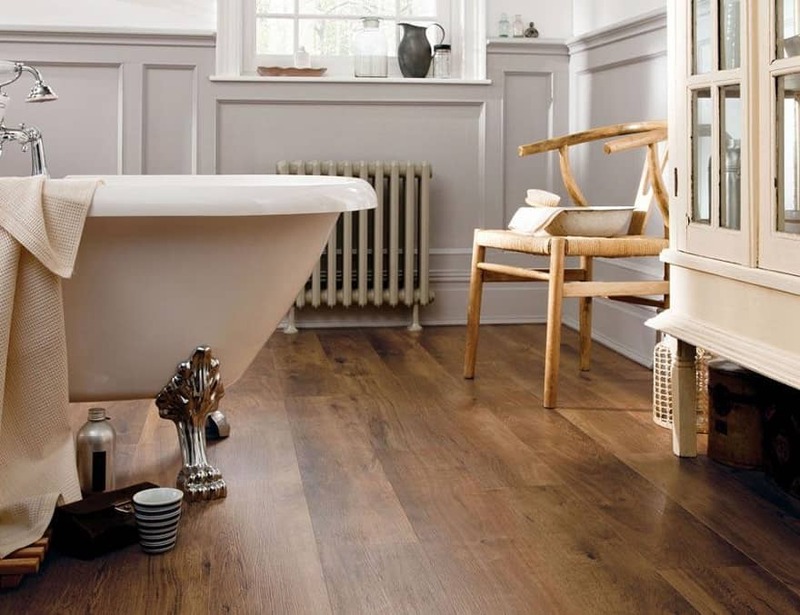 One option is to decide on a type of tropical wood, able to withstand wet conditions which are present in a bathroom. Another alternative is to use woods such as pine. In this case, the joints between the boards have to be sealed, with polyurethane putty to make the floor completely waterproof which make the floor look beautiful. The problem is that it is not exactly cheap. It is the way of not having to give up the warmth of wood. 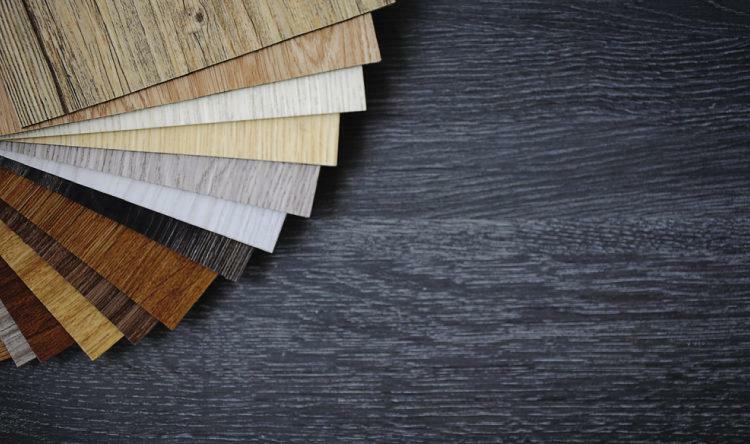 A laminated floor, in addition to providing the natural aesthetic of this material, is resistant, supports humidity and has no maintenance problems. The boards are adequately protected with a water-repellent treatment when installing in bathrooms and the result is warm, comfortable and very decorative.